Project name: annual output of 500000 cubic meters of expanded perlite insulation board production line automation projects. The construction main contents: the annual output of 500000 cubic meters of expanded perlite insulation board production line automation projects, covers an area of 65000 square meters (about 97.5 acres), construction of workshop, warehouse, laboratory buildings, office buildings and supporting ancillary facilities such as a total construction area of 50000 square meters. To outsourcing, powder, cement, fly ash cement admixture, cement additives, PP fiber, expanded perlite, polymer emulsion and water as raw material, through proportioning, first time mixed stirring, mixing, pssing forming again, curing and drying tunnel kiln production, inspection, packaging process. Main equipment storage bin, cement tank, storage tank, forced mixer, mixing fly ash on newsstands mixer, moulding machine, automatic machine, automatic folding machine, gas tunnel curing kiln, dryer, automatic packaging machine, etc. Project products used for building exterior wall thermal insulation, good market prospects. Project name: 900 mu of high quality fruit planting project. 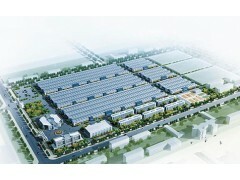 The project content: the total investment of 35 million yuan, the project plan circulation land 900 mu, the main planting early f your peach 400 mu, 500 mu grapes, ancillary facilities such as construction of storage management room of 1200 square meters. Technology: seedling breeding, planting and management to harvest, sales. Major equipment: 2 sets of automatic spray irrigation system, purchase 3 agricultural vehicles, spraying equipment 30. Project name: annual output of 300000 cases of health supplies construction projects. Construction of the main content: the project covers an area of 3058 square meters, workshop of 228 square meters, warehouse area of 104 square meters. Technology: wood pulp board pieces - stretch film coated cutting and packing - - - the factory. The main equipment: 1 sanitary napkin production line 1, sanitary pad production lines, diapers, production line 1.